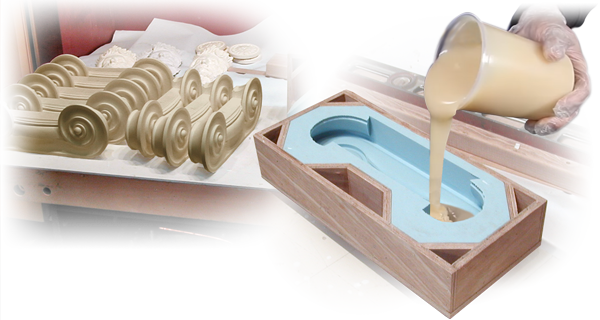 Habitat Cast N Coat™, Flame Rated Castable and Brushable Epoxy | Smooth-On, Inc. Heavily filled, high density pourable epoxy that can also be thickened with Habitat “Folding Powder” for brushing/troweling onto vertical surfaces. Habitat Cast N Coat™ certifies to the highest flame rating available in the USA (ASTM E84, Class A), making it especially suitable for public space fabrication applications. Safe to be used in aquariums or in proximity to animals/reptiles (zoo fabrication). Habitat Cast N Coat™ bonds to a variety of materials and can be applied as a fire rated, protective/decorative coating to a variety of surfaces including EPS foam. Material cures to a rock-hard solid with negligible shrinkage. 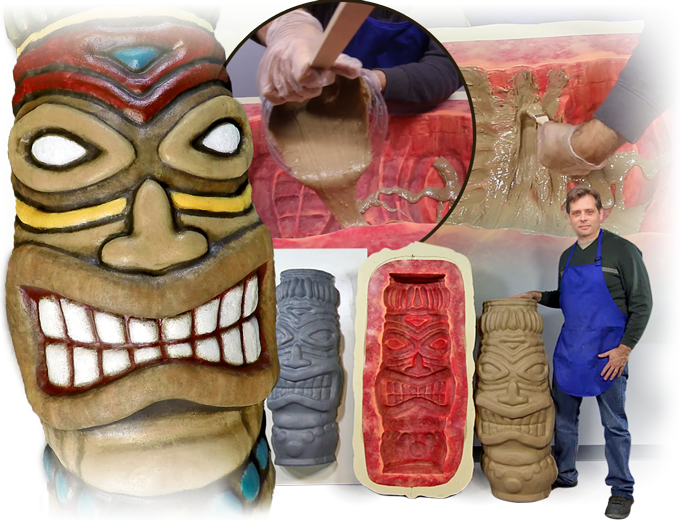 UVO™ or Ignite™ colorants can be added to liquid Cast N Coat™ during mixing to create a variety of color effects. 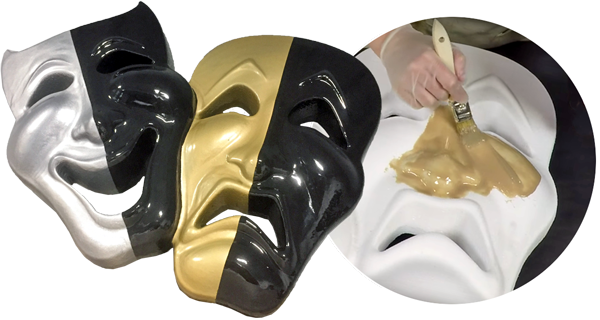 Cured epoxy can be sanded and painted with acrylic paints. Cast N Coat™ works well to coat foam signage and props. Making a glossy, smooth, easy to paint surface. Bonds permanently to itself or a variety of surfaces and can be applied as a fire rated protective/decorative coating to EPS or rigid foam, wallboard, plaster, wood, PVC and more. Increase the viscosity of Habitat Cast N Coat™ for vertical surface applications by adding folding powder. 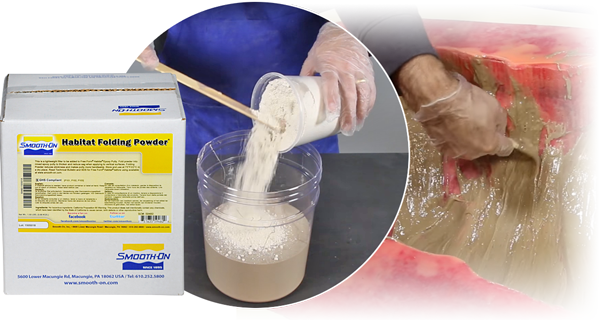 For a trowelable consistency (for coating EPS foam, for example), start by adding 1 Part A, 1 Part B and 1 Part Folding Powder® and increase as needed.